In Sevid you are on the best way to walk because it is more difficult in the narrow streets (narrow access roads) by car to come forward. In Sevid you will find several nice restaurants. The place is not for party people because as mentioned above provide a quiet place where most families with young children. can you protection because of the low traffic volume. 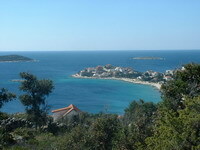 Excursions can be made ​​from Sevid to Trogir, or take the National Park Krka. 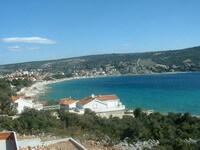 In about 20-30 minutes to drive to Trogir or Primosten.